Ah, what a relief and delight for the soul in a busy season of packing and showing a house to come home to a wonderful box in the mail. Yes, that’s right! A gluten-free delicious sampler pack of yummy goodness from Mama Mead & Co herself (www.mamamead’s.wordpress.com). Joy in a box! The sampler traveled perfectly (and those of you who have had a hand at gluten-free baking may have results that are sometimes crumbly. This traveled across the country – the Northwest to the Deep South – and all the treats were still lovely!). The sampler had many different goodies inside, which I gladly shared with our children and my best friend and her children: peanut butter chocolate chip cookies (my middle child’s favorite and high on my list too), coconut chocolate chip cookies (my oldest child’s favorite), a molasses spice cookie (my best friend’s favorite and I think really high on the list of the children as well), caramel sea salt brownies (!!! which best friend and I ate happily), and a delicious, sweet, pecan-walnut-hazelnut granola. I have heard through the grapevine since then that a gluten free Oreo-type cookie has since also been added to the sampler box. Think of all the sunshine in one box! You can see more pictures of Mama Mead’s lovely food on her blog, and also I have to say how much I love this particular reflection on motherhood here: http://mamameads.wordpress.com/2012/07/14/the-work-of-mothering-reflection/ . She also has a fabulous facebook page here: http://www.facebook.com/#!/mamameads. Hope that link works! Mama Mead has so kindly extended an offer for all of my readers in the United States: two lucky winner will win free sampler boxes in the mail (!!). The lucky winners will be picked on Friday by random number generator if you leave a comment below. There is also a 10 percent discount for all my readers who place orders through August 16th if you use the code PP10. So, leave your comment and hopes to win below…After all, who doesn’t want to receive love and care and in the form of sweet gluten free treats in the mail? I’d love a chance, thanks! Her blog looks amazing & I’ve recently been feeling so much better on a gluten free diet since Jan. so this would be a welcome treat! So sorry to confuse, but the code had to be changed to PP10 (I had a limit on the number of characters I could use!) Good luck to all the entrants! Sounds awesome! Pick me, pick me!!! Sounds delicious! They look yummy! mmmmmm. sounds delicious and mail is always fun! Was inspired by Mama Mead’s story of how they became gluten free! I would love to try those goodies and share them with the kids too. Oh please oh please oh please!!! 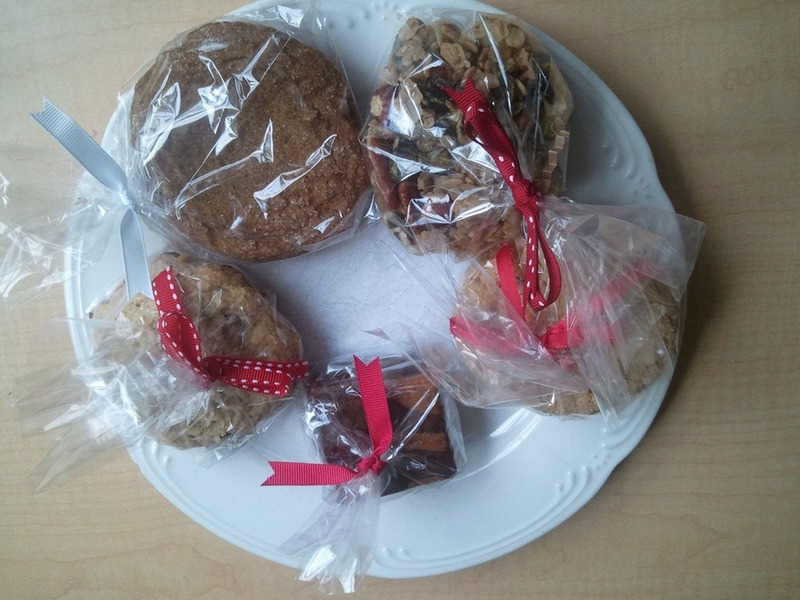 We just love GF baked goodies at our house! I would love to get a week off from gluten free baking of church snacks for my littles! Um, yes, me too please! Yum yum, thank you! Yum! And here’s to winning! Yay! My birthday is coming up. What a nice gift this would make. Wow! What a great give-away!! We would love to sample Mama Mead’s sweets! Thanks for the opportunity!! We’d love to try these and share with our GF friends! These look so delicious! I just discovered mamamead’s baking business. I’ve been a fan of her (writing and photography) for years, now, and would love a chance to be a fan of her baking as well! We’ve been GF for 10 years. I’d love to try something new! This GF family would love to try these treats!!!! After testing positive for gluten intolerance, we just went gluten free in our home. What a lovely way to experiment with gluten free treats! yum! OOO I have been wanting to try gluten free stuff for a while this would be a good way to try it! Thanks for the giveaway! That’s lovely – I know so many families who are struggling with gluten free. Would love the chance to receive a box of yummy GF treats in the mail!! Wow! everything looks so yummy! Thanks for the chance. Ii would love a chance to win. The goodies sure do sound wonderful. They look and sound delicious. We would love to win this gift! Thanks! My GF tummy would love a cookie! Yummy! I’ve been wanting to try GF; this would be a great kick-start to better health. Thank you! Yum! Always trying to find gluten free goodies for my kiddos. I am following Kyrie on Instagram and I droooooool over her scrumptious pictures! Thanks for the opportunity! 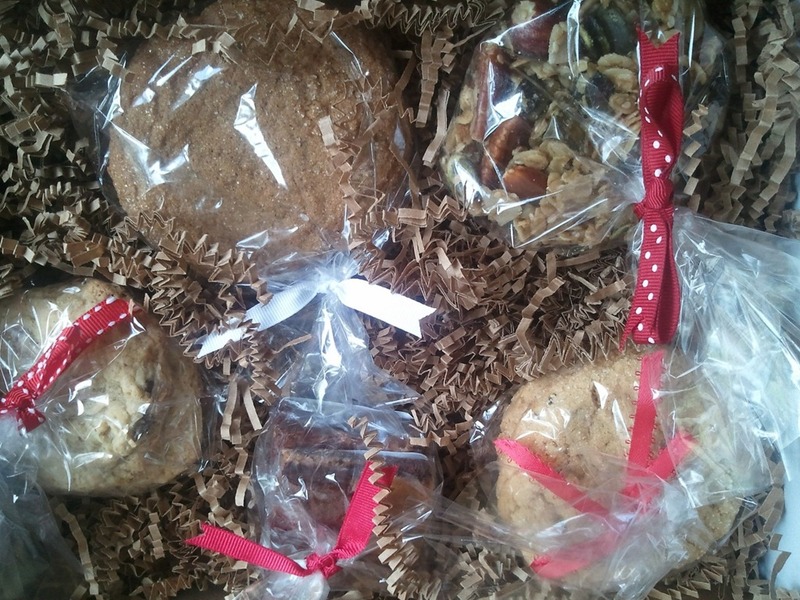 These gluten free goodies look mighty tasty!! Hi – Gluten-free cookies that don’t crumble?! I’m in!! Thanks for this kind offer…. This sounds so delicious! If I don’t win then I will probably be placing an order soon. . .
Would love to win and give to a friend! I would love to get some sweet treats in the mail!